Sarah Cooks: Japan 2007: Bentohs! Bentohs! 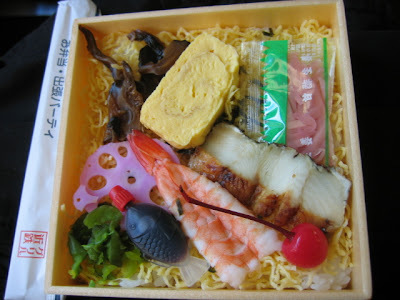 A bentoh is a lunch box. They are inexpensive and usually delicious. Available at all convenience stores (konbini) and major train stations, the bentoh is the thrifty traveller's key to living cheaply in Japan. 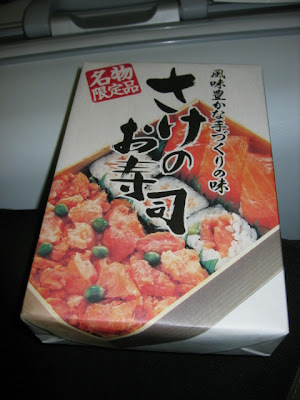 I found bentohs ranging from around ¥200 and up to ¥1000 for fancy-pants ones, like the wrapped up sake no osushi (salmon sushi) you see below. And as an aside, they all taste infinitely better than they look. Oishii! 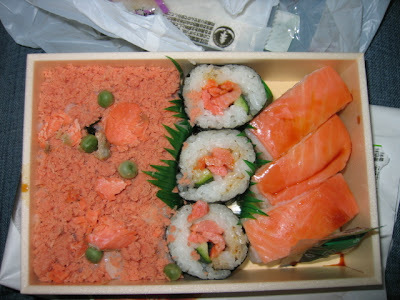 Salmon Sushi Box, Train Station. 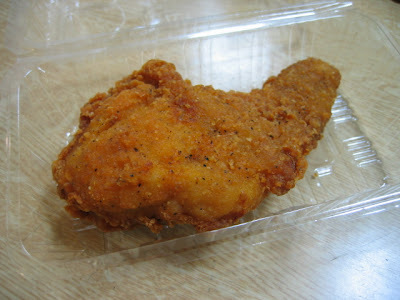 One piece fried chicken. Family mart. 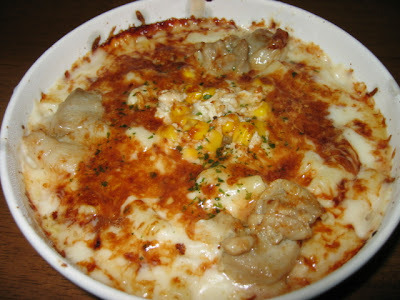 Cheese Chicken Gratin thing, 7-11, Tokyo. 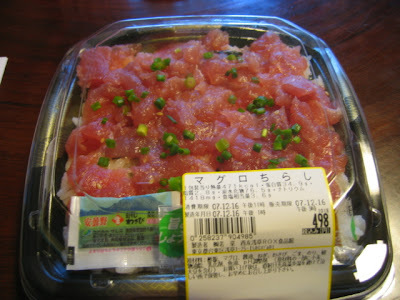 Tuna Chirashi Sushi, Rox Supermarket, Tokyo. 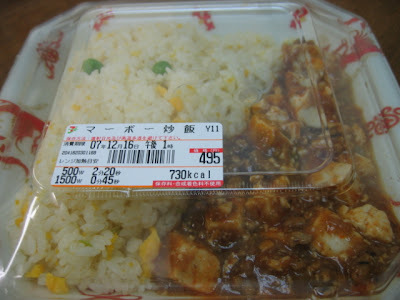 Mabo Tofu and fried rice, 7-11, Tokyo. Chirashi sushi, train station, Osaka. 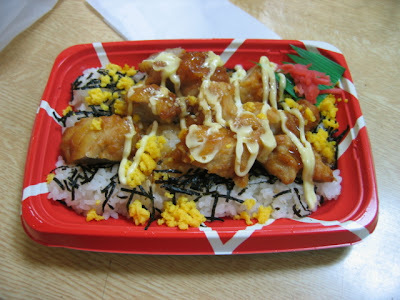 Chicken mayo rice, Family Mart, Osaka. Drool! That fried chicken looks soooo good (but also so bad LOL) That sushi looks great too - all that salmon!